Obama has your Internets. GO CHINA! Bigfoot Found or just another fake? You decide. “A policeman and a former corrections officer say that on Friday they will unveil evidence of what they claim is their biggest find ever: the body of Bigfoot.” Is a quote from a CNN article about hunters “finding” the dead body of bigfoot and spotting several similar creatures that were still alive in a wooded area in North Georgia. I put quotes around the word “finding” because it is not yet validated that it is the true bigfoot and not a fake. Please feel free to voice your opinion by commenting. DNA tests have begun on the body and “extensive scientific studies” will be done by a molecular biologist, an anthropoligist and a paleontologist. 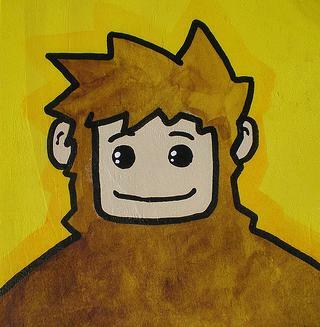 Description: Half man-half ape with human-like feet, hands, and teeth.